I received an advanced reader copy of this book in exchange for a review. 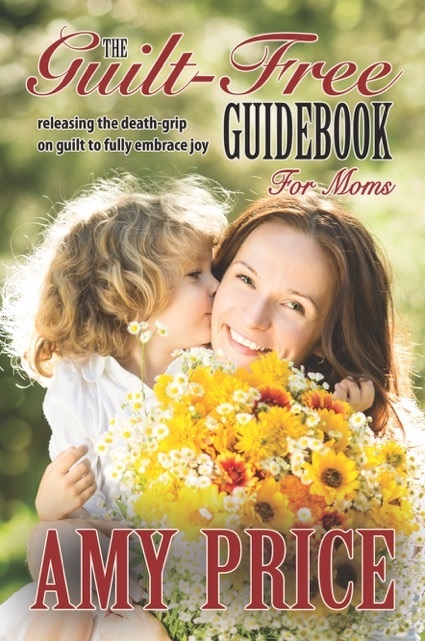 Written by a veteran mother of nine still up to her eyeballs in mud pies and mayhem, The Guilt-Free Guidebook for Moms is sure to keep you tickled, tearing up and turning pages as you learn how to break free of the chokehold of an endless To-Do list, so you can finally enjoy the beauty that is all around you. Finally and fully embrace the Joy cradled in your arms and in your heart. As a mother of two kids, I was very intrigued by the title and hopeful. Being a Mom, I often feel guilty, anxious, whatever you want to call it, when I have a few moments to myself. I learned quickly in the introduction that in the book, the author draws on personal experience as well as religious text. As a religious person, I have no problem with this. The sections end with thought provoking questions and an action to help. A journal section is also included to help with this process. The sections were quick easy reads that I could squeeze into my day. Even if I only had a couple minutes. Even disagreeing with a few points, I do feel less guilty now compared to how I felt beforehand. I feel the book has a very specific religious mom audience. Overall if you are Christian and a parent suffering from guilt I would recommend this book. The Plague Legacy is a young adult dystopian series. Assets is available for pre-order now and releases April 9. Acquisitions, book one, is on sale for $0.99 April 3-12. Lefty reached across Cam for Myla’s arm, but she stepped back. “She said don’t touch her.” Cam rolled to his knees and pushed to his feet as Lefty’s fingers closed on the salty air. The pocket knife fell into the sand when Cam’s roped hands swung into Lefty’s jaw and the weathered crewman fell back into the fisherman who had started the fight chant. Cam stepped to lunge at both of them, but a pain exploded in his head and his feet went out from under him. He fell forward, blinking to clear his vision as he braced his elbows and knees on the sand to get back to his feet. Myla stepped up to his other side and wrapped her arms protectively around his shoulders. “You promised,” she challenged Styx. Styx’s knife disappeared, but the dark woman’s shadow still blocked the last of the sun. Cam hated the look of pained disappointment on Myla’s face as the reality of their situation sunk in. Cam straightened, glad for Myla’s arms around his shoulders as the twilight on the beach swayed in his vision. If you sign up for Christine’s newsletter, you will receive a free ebook of her next Grimm Chronicles novella, One, Two, Blood on My Shoe, in May. Christine Nielson Haggerty grew up in rural Utah with three brothers, a sister, several chickens, a goat, and an outhouse. She always loved the escape of fantasy and the art of writing, and her passion for life is to craft stories of strength and survival. As a former high school language arts teacher and a black belt in karate, Christine has found a niche in combining those skills to help authors write effective fight scenes. An award-winning young adult author, she writes the dystopian The Plague Legacy series and the dark fantasy fairytale novella series The Grimm Chronicles. Dialogue is something I struggled with a lot when I first started writing. It can still be challenging, but I’ve found a few tips that help me. For the purpose of this post, I’ll use example of a pirate and a king. 1. Know the characters and their history. This includes education level, personal relationships, where they grew up, major events in their life, hobbies, occupation, etc. On the surface stereo types show a pirate and a king will speak differently. The Pirate is full of “Arg mateys” hardly language a King would use. But what if the Pirate grew up with the same tutors that the King had? And the King was overthrown by an invading army. Did the voices you hear for these characters change? This brings me to my second and third tips. Where the characters are. The event(wedding, feast, war, etc. ), the location(prison, palace, bar, etc.). The properly educated pirate will use different words with his crew compared to business men. 3. Who they speak to. I’m going into more detail here as to how I see this. Are they speaking to an enemy? A romantic interest? Their mother? Who they speak to will effect the word choice a character uses. I speak differently when talking with my best friend vs. my boss. The King will speak a certain way in the court of a foreign leader. But when forced to hide from his enemies on a pirate ship he’ll need to use different vocabulary to blend in. How emotional are they? By this I mean are they able to control themselves. In the heat of the moment, people will say say what they feel. This last tip probably sounds strange. In order to better understand how different types of people really talk, and not the cliche “Arg mateys”, listen to real people speak. Go to the food court at the mall. I haven’t posted in a while, however I have continued on my journey as an author. I’m happy to share the results of multiple authors(including myself) hard work for a great cause. I will have more to share about the anthology Secrets& Doors in the days coming. The beautiful cover is from Faun Jackson. 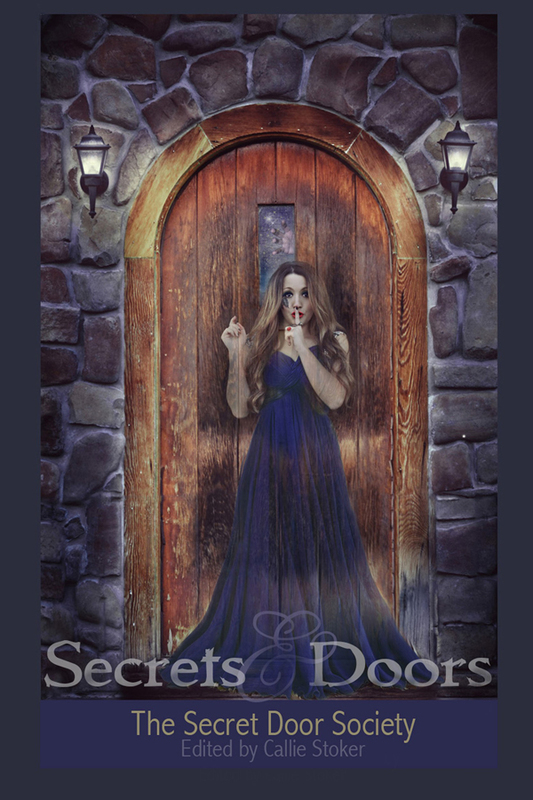 Secrets & Doors is available in ebook and paperback.